We’re back at Interbike for the 3rd year and bringing the Mobile Social with us. Last year we rode the Strip in an Urban peloton to the Crit races. This year, same thing, but we’re changing the destination. 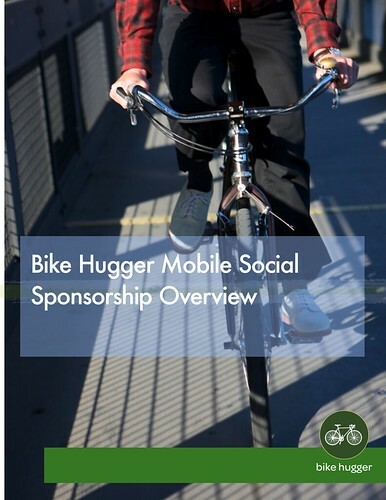 *Bike Hugger will bring the MoSo back to Interbike in 2009 with more Hugga than ever. We’ll ride the Strip to a fun location. Full details and more posts to follow. At the intersection of bikes, technology and culture, the Mobile Social is a unique opportunity to connect with like-minded folks during the bike industry’s big show. We ride, blog, party and give away product. And we really must insist that you join us. Read why in our sponsorship overview document. Wondering how it works, what it is, or why? Ask away in the comments or contact us directly for sponsorship. Previous Previous post: Hydraulics in my Future?